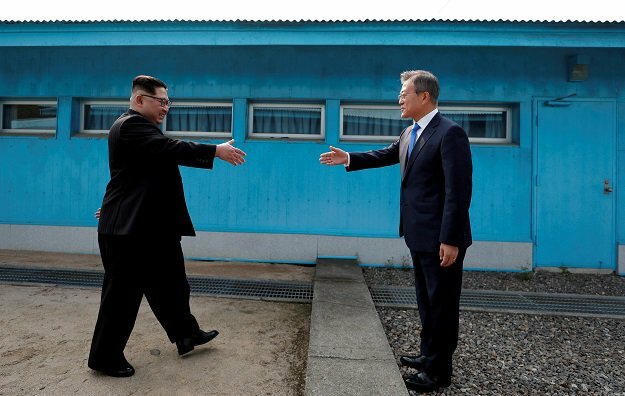 (Seoul) – Smiling and holding hands, North Korean leader Kim Jong Un and South Korean President Moon Jae-in met at the heavily fortified demilitarised zone between the countries in the first summit for the two Koreas in over a decade. The meeting, aimed at ending their decades-long conflict and easing tensions over the North’s nuclear weapons program, comes weeks before Kim is due to meet US President Donald Trump. 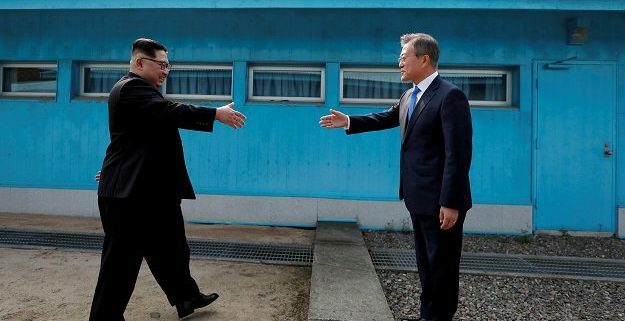 Moon greeted Kim at the military demarcation line at 9:30 am, making Kim the first North Korean leader to set foot in the South since the 1950-53 Korean War.